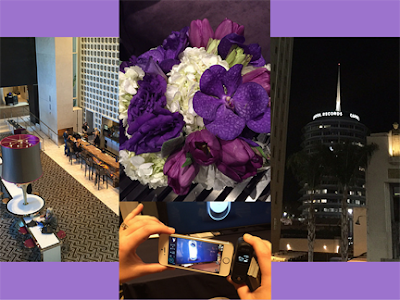 Affluent lifestyle, the latest tech lifestyle innovations and a huge array of beautiful and functional consumer products converged last night at the fall edition of The Luxury Technology Show. This must attend invite-only event for tech lifestyle media and industry VIPs where I met up with friend Lori Cunningham of Well Connected Mom was, appropriately enough, held at the luxurious W Hollywood Hotel in California within view of the iconic Hollywood sign and the equally historic Capitol Records building. In fact, of the more than 100 cool products on display, it wasn't easy narrowing it down to the Best 12 The Luxury Technology Show Lifestyle Products. Anchoring the exhibition were presenting media sponsor The Wall Journal and the Consumer Electronic Association (CEA) 4k UHD Lounge showcasing premium large displays from LG, Panasonic, Samsung and Sony. Rounding out the show were almost 30 starlet boutique brands, both established companies and start-ups. The luxe brands represented just about every lifestyle tech category imaginable from baby equipment, entertainment, fashion and style, and haircare to massage chairs, robot vacuums, smart kitchenware, LED smart lighting and high end audio/video and home control systems. 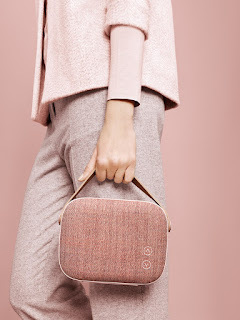 Also on hand to touch and see: portable wireless speakers like the handbag version pictured above, the latest smartphone and mobile accessories, professional projectors, drones, personal transportation equipment, optics, outdoor LED/LCD flat panel TV screens. There was even the world's only personalizable LED Vodka bottle you see below as well as a company showing off the on-car and wind tunnel components they make for NASCAR racing teams. Don't miss this MBE post highlighting my 12 favorite luxury tech discoveries out of the many more contenders on display at this show. It is amazing what amazing things are out there. I'm looking forward to your list. Oh man! I would love to be at this technology show! I just love all the cool things they are coming out with! Sounds like a great experience. Our world has changed so quickly and knowing and learning technology is a must! I wish that I could have gone. This sounds like an awesome event. I love the latest tech! What cool things. Technology is so awesome. The things we can do now are great. I enjoy learning about new products. I would have enjoyed seeing it all, particularly the smart kitchenware. What a lucky person you are to get to go to this show! I like those speakers! What a lucky girl you are. That would be so cool to be able to see all of the new products coming out. That looks like it was such an awesome time! I think technology expos are the absolute coolest! That sounds like it was so much fun. I love learning about new products and tech. Very cool. This is pretty neat! I love some of the new technology items. I love seeing the newest and hottest technology products. I know my boyfriend would have had an awesome at this event, too. It must have been amazing being able to check out all the new tech. Those vodka bottles are pretty awesome! Those are so cool! I love the speakers! This would be such an amazing experience. Those vodka bottles are so awesome! I love to see all the neat things they're coming out with. Smart kitchenware would be interesting to see. Sounds like a fun tech show to take in. This would be an amazing show to go to. It is fascinating all the new tech they are coming out with. An outdoor LED television would be amazing. It is crazy all the cool things they are making now. My brother in law loves these kind of events. It must have been awesome learning about the latest and greatest technology. What a fun technology show to go to! I love to see what new technology is coming out next. I could definitely use some of those in my life! It's amazing what they're doing with home technology these days! What a great event to attend! I am always interested in the newest technology! What a cool experience! I would love to go to an event like that someday! 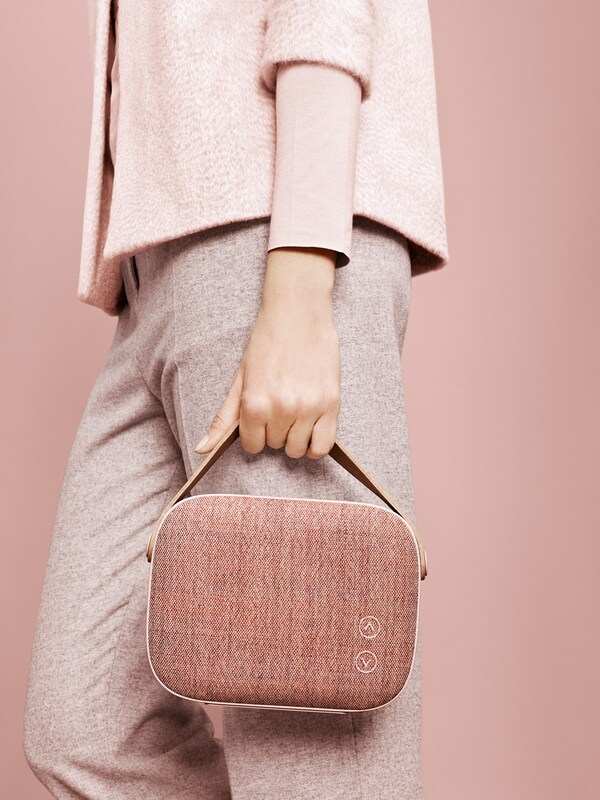 I also wouldn't mind that speaker that looks like a purse! So cool!